Kitov Sige is a scribe living and working in the Imperial Capital city of Imrodan. He dreams of travelling the world and going on adventures, but so far has only read about things like that in books. 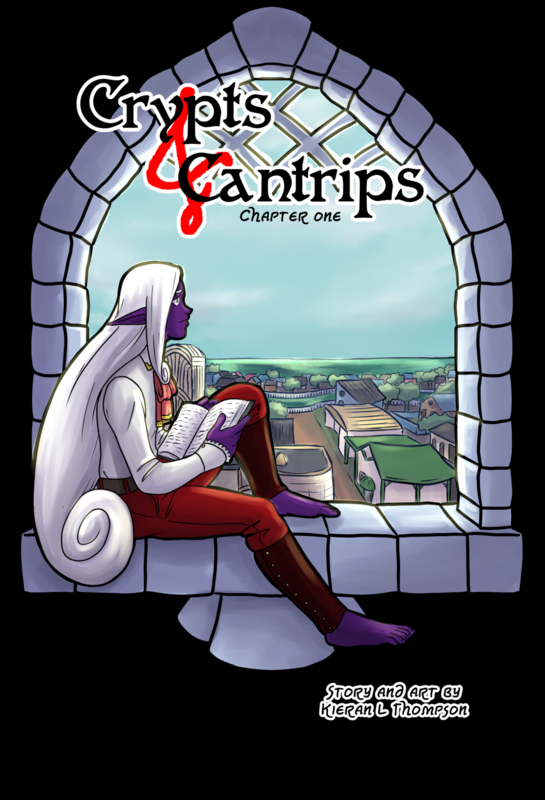 Crypts and Cantrips is a fantasy adventure comic heavily inspired by Dungeons and Dragons and other tabletop RPGs. The comic can be read for free at CryptsandCantrips.Kytri.net this is a high res PDF of the first chapter. It's 32 pages and in full color.